My little boy is 15 months old. It feels like this is his first time experiencing Easter, because he was so young last year. So what should we get for his Easter Basket? I know my husband and I are not the only parents thinking about this… so here are some ideas…. My little boy loves anything with wheels. In fact, his first work was “truck”. 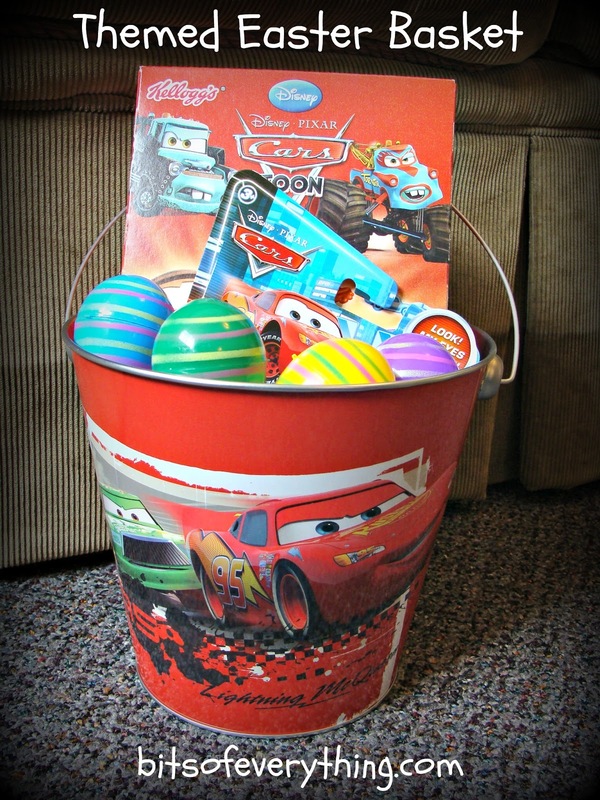 So we decided to do a “Cars” themed Easter Basket for him. We found this Cars tin bucket at Shopko for like three dollars. Then we bought a few toys and a few treats…. I can’t wait to give it to him this weekend! Happy Easter! What are you going to put in your kids’ Easter Baskets? Wow! You’re on top of it. I still need to go shopping. Thanks for the ideas. The theme idea is great- and the cars bucket really is adorable! Filling my boys’ Easter baskets is actually one of my favorite thing EVER! 🙂 Hope you all have a great Easter weekend!